Posted on August 8, 2014 by Evan G.
Famous Hollywood screenwriter/director Chris Weitz has written his first novel, The Young World. It is set in a world two years in the future and teens are the only ones alive and they are in control. All of this was started by a sickness that killed everyone not experiencing puberty. This is because of the special fibers created during puberty that keep the sickness at bay. A group of teens living in Washington Square in New York have created a sort of community. However, when the leader Wash dies from “the sickness” after turning 18, his younger brother Jefferson and four other teens, venture out of their community on a journey that may lead them to a cure. This brings them on a wild adventure in which they face murderers, mole people, wild dogs, a bear, and cannibals. Sci-Fi fans will love this book due to the post apocalyptic setting and show stopping action. The cliffhanger will almost definitely lead to an intriguing sequel. The book is written in first person but in the form of a movie script, which is no surprise because of the author’s twenty years writing and directing films such as Twilight: New Moon, American Pie, Antz, The Golden Compass, A Better Life, and the upcoming Disney movie, Cinderella. I read my signed copy of this book in one day because I could not put it down. I was lucky to hear him speak about his book last month in Mission Viejo where he told of his life in Hollywood and how this book came to be. All in all, this is an excellent book and I highly recommend it to people who don’t mind violence, mild romance, and major cussing. I recommend looking beyond the cussing to see the story for how great it is. Posted on July 30, 2014 by Evan G.
Alex Rider is your typical 14 year old boy. He likes girls, action movies and sports. However, when his Uncle Ian suddenly dies in a car crash, Alex knows the story is a lie. The bullet holes in the windshield are all the evidence he needs. Upon further investigation, he stumbles upon an astounding truth. His uncle was not the humble businessman that he had pretended to be, but a secret agent for the British secret service, MI6. When Alex is chosen to replace his uncle as a spy, his life goes upside down. He finds himself fighting goons, surviving a jellyfish attack, and stopping a crazy terrorist from destroying England. I don’t want to give anything else away because the book is all about suspense. This book is riveting! Percy Jackson fans will especially enjoy this story as they are both written with similar first-person irony. I also recommend it to those who are tired of predictable endings. While in most books the good guys win, this guy wins in ways that not even the author could see coming! Both boys and girls will find it is an action-packed, fun to read, page-turner. This is an intense mystery. I read it in two days because I could not put it down! 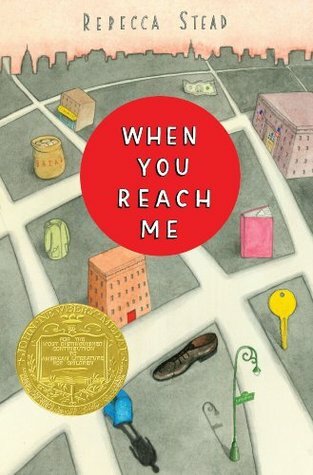 Posted on July 11, 2014 by Evan G.
When You Reach Me is a book about friendship, child independence, and even a touch of time travel. 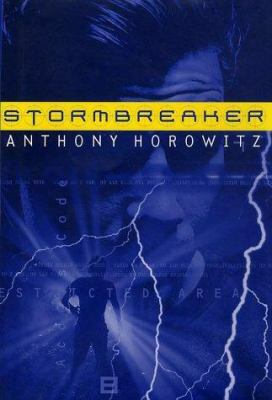 The book takes place in New York City in the year 1979. In the story, Miranda’s best friend, Sal, is randomly punched hard by an unknown boy for what seems like no reason while they are innocently walking home from school. Sal then shuts Miranda completely out of his life. Miranda’s house key is then stolen and she finds a strange note that says, “I am coming to save your friend’s life, and my own. I must ask two favors. First, you must write me a letter.” She finds more and more notes that lead her closer to the writer and they give her clues how to prevent a tragic death. This writer speaks to her of events before they even happen. When You Reach Me has received many awards and deservingly so. I recommend this story to kids in 4th grade and up. This is a detailed read with an intricate ending. Before reading this book, you may want to pick up a copy of A Wrinkle In Time, because there are many references to that book in the story. This book was on my school’s summer required reading list. I found it to be interesting and engaging and I enjoy mystery novels. It gave me insight into how kids lived their lives before the age of technology and cell phones in that they walked the city streets free to explore without constant supervision even in the light of danger. I wish that kids today could have the same type of independence to explore their worlds during their childhood.